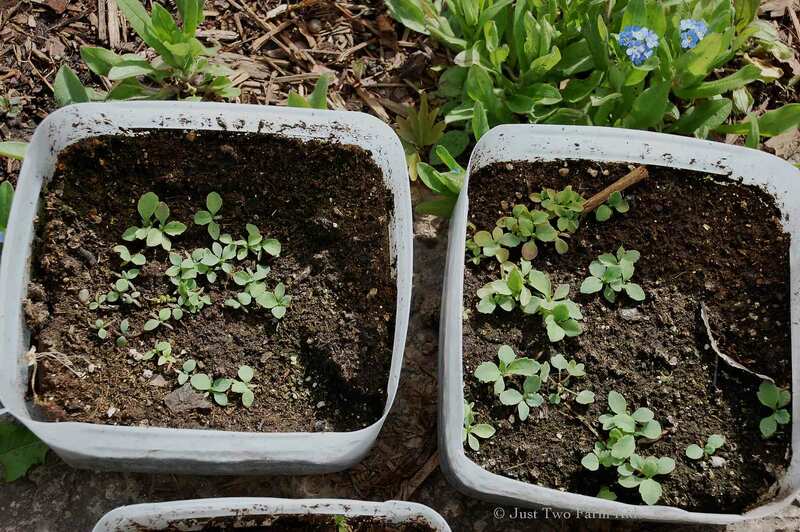 The seeds eventually sprouted in the spring and I set them out to keep growing. I eventually moved the seedlings into the garden. 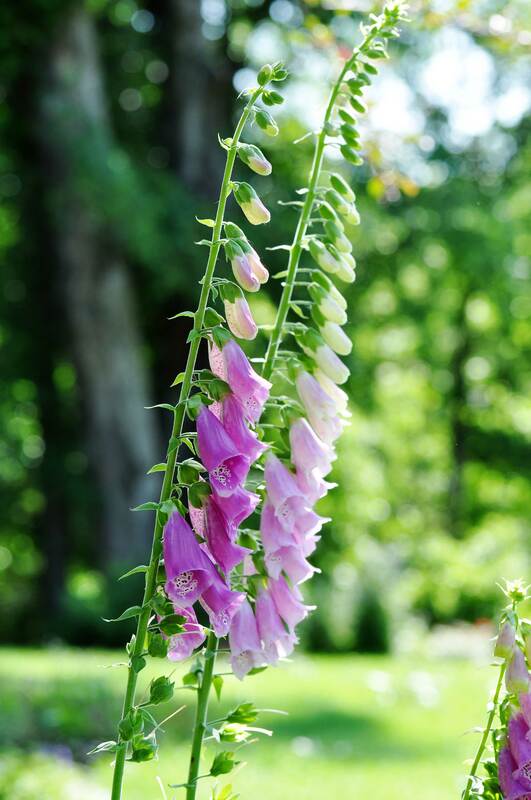 One of my favorite flowers are foxgloves (digitalis) and I had tried direct sowing the seeds into my perennial garden a few times with no success. 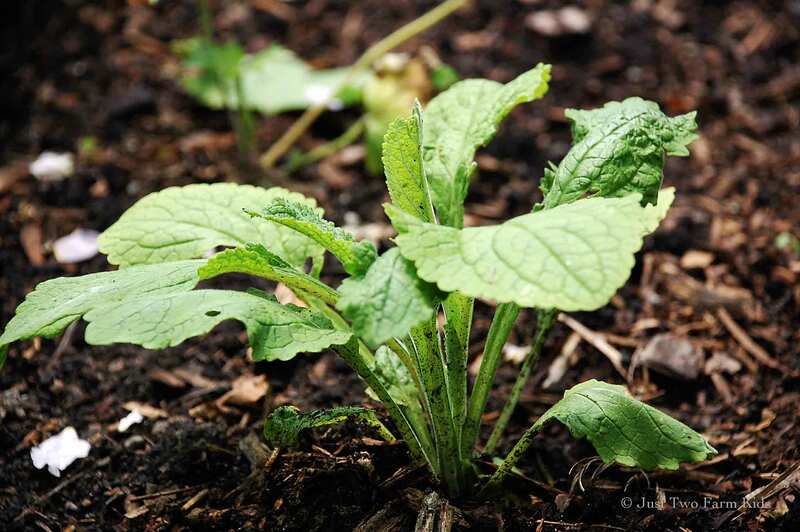 Using the winter sowing method, the germination of the foxglove seed was excellent. 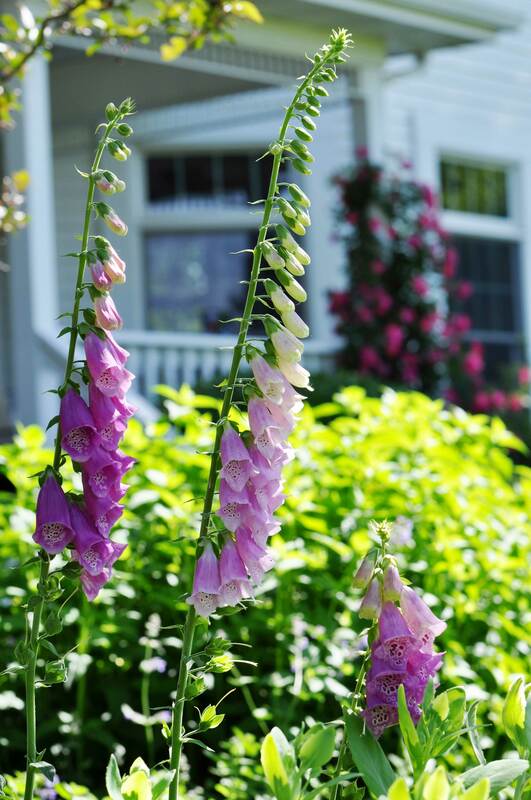 Last summer, my new foxgloves were thriving and the plants looked like this. 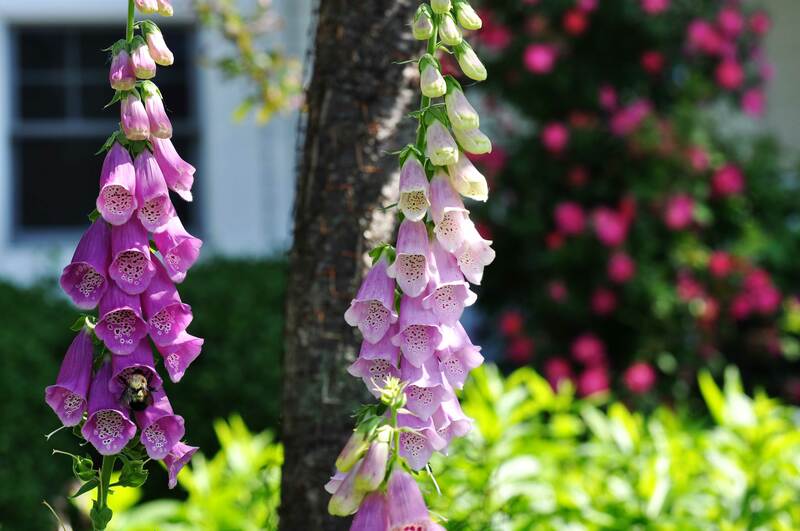 Foxgloves are classified as a biennial and do not typically flower the first year, as was the case with mine. 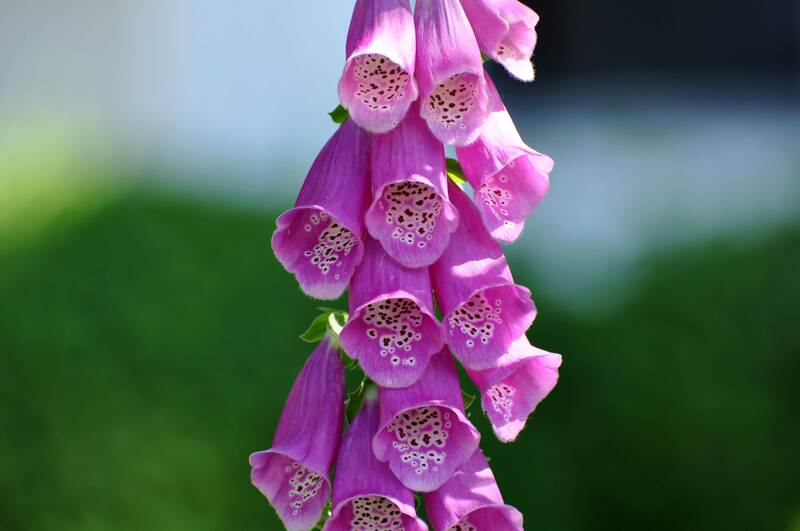 This summer however, they put on a spectacular show and graced my garden with their beautiful spikes of tubular flowers. I’m not sure what to expect next summer. 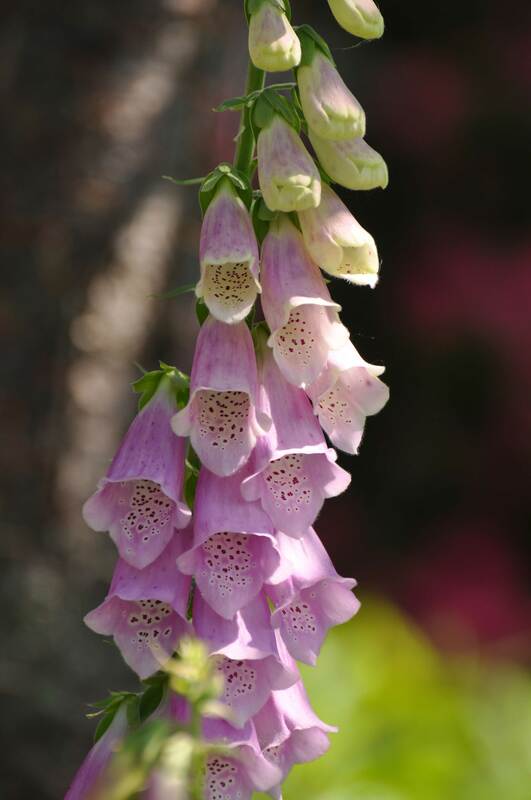 I did not get around to doing any winter sowing this past winter, so I know that I won’t have any foxgloves ready to bloom next year. Because they often re-seed themselves however, I am hoping that I will have a lot of them sprouting up in the spring and I will be able to enjoy them in 2013. In the meantime, I have a renewed motivation to make time to do more winter sowing this year. September 2nd…Where has the summer gone? It feels like I haven’t gotten anything done this summer!! After missing the harvesting window on so much of our garden bounty this summer, we finally managed to be productive today and do some canning. 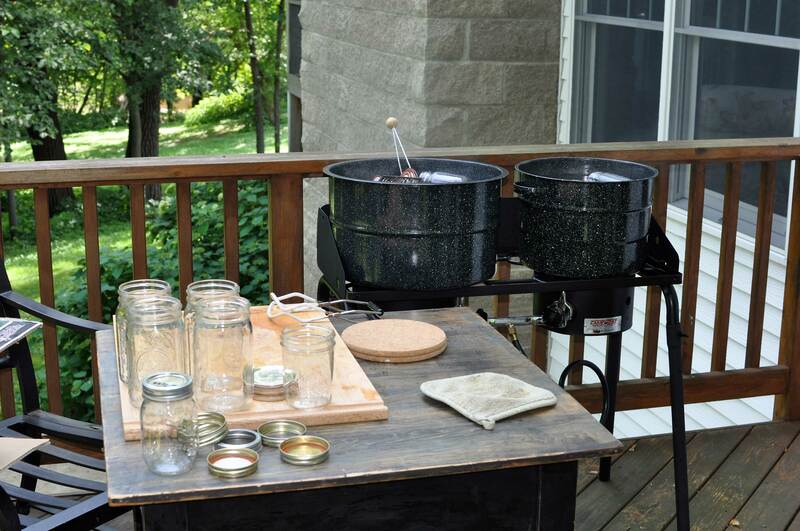 We set up a summer kitchen out on our back deck for sterilizing and processing jars in a hot water bath. It worked fabulous because all of that moisture from the boiling water that usually ends up saturating my kitchen stayed outdoors. We used the two-burner propane stove that Jesse purchased for making maple syrup this spring and it was perfect! We started out with our tomatoes. I don’t know about all of you, but our tomato plants suffered from a serious case of blight this year. We have nonetheless still managed to enjoy a good harvest. Cheating a bit, we use a package mix that has all the spices and all we have to do is add the freshly chopped tomatoes. We processed 35 pints of salsa. After the tomatoes, we started processing our apples. This turned out to be a lot more work than I had anticipated. This is really the first year that our tree has produced a decent amount of apples and I’m not sure how I feel about harvesting apples after today. Peeling, coring, cutting up, boiling until softened, grinding up in the food processor, heating again until boiling….what a mess!! 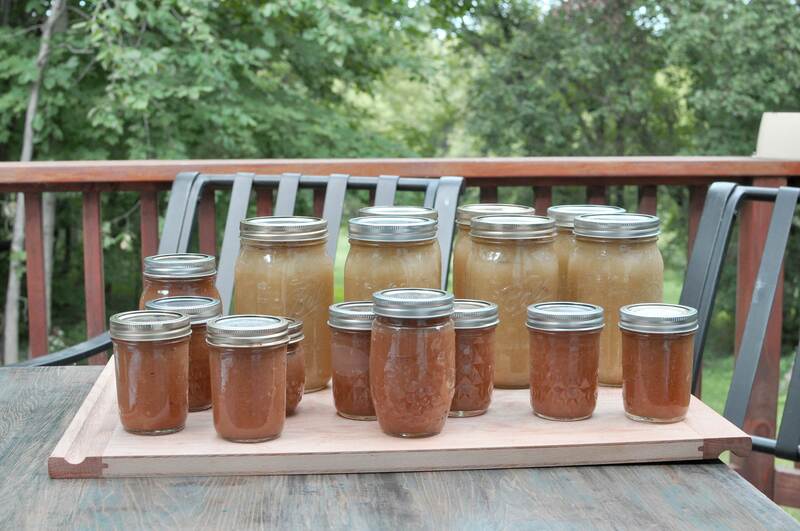 We processed 7 quarts of applesauce and approximately 8 pints of apple butter. 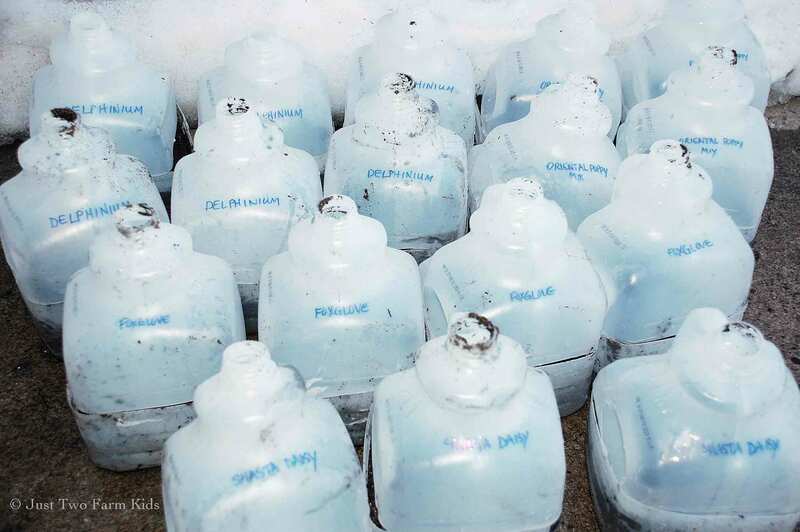 Based on the amount of work that went into these jars, I sure hope we enjoy them. So, finally…a day of productivity here on the farm. We have managed to preserve some of the produce from our garden. It makes me feel good…giddy…happy…satisfied. 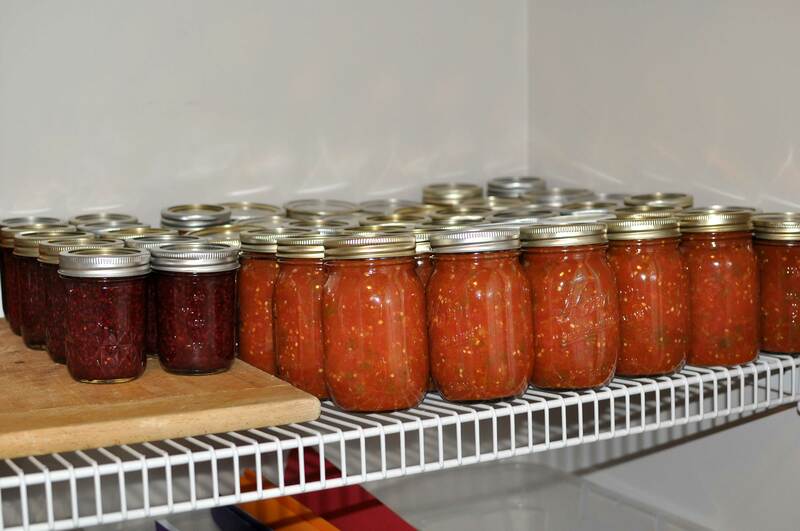 Some time this winter, probably in January, I will be feeling even happier as I pop open a jar of salsa or apple butter for us to enjoy. It will remind me of summer and of how grateful I am to live here.